There are several ways to navigate the maze of Saigon. 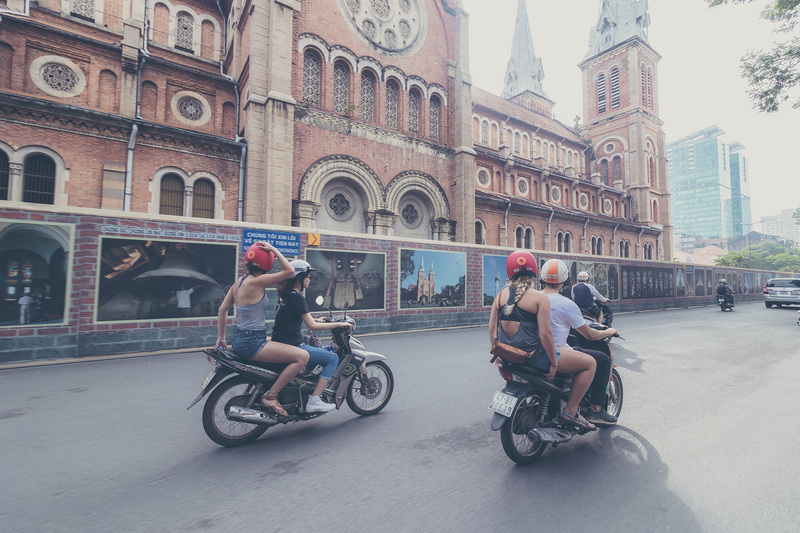 You can only truly know Vietnam, and Saigon in particular, once you zigzag among the crowded city streets on a motorbike. There are several ways to navigate the maze of Saigon. You can only truly know Vietnam, and Saigon in particular, once you zigzag among the crowded city streets on a motorbike. It is not by chance that there are millions of scooters and a tangled chorus of beeping within the city that never seems to sleep. The city is not terribly large, you can from one point to another easily with a bike, traffic is definitely the enemy of cars, and trust me you will only like the bus if you have a daily route (such as traveling to work). Therefore, in this article, I will briefly introduce to you several highly recommended means of transport. I am going to focus more on traveling around on the motorbike taxi, as well as places you can explore around by yourself on a bike. I divided the article into certain districts of Saigon, so make sure you take your time and map out a good route for yourself to explore. Here we go! The motorbike taxi (usually known as “Xe Om”) appeared in Saigon no earlier than 1965. Back then, it was even a high-end mode of transportation, mostly to serve the Westerners living in town! During the Vietnam War, here appeared a new Vietnamese working class who worked for the Americans. Their salary was pretty good compared to the average, allowing them to afford private motorbikes. There was this man, whose name was unknown – Mr. X, working for a US company located at the heart of Saigon. He bought himself a Lambretta to travel to work. All of a sudden, his company cut the workforce and he lost his job. After a while of being distressed by the incident, Mr. X calmed himself and started seeking ways to earn his family a living. During when, he still got to his old office once in a while, maintaining certain friendships. One evening, an American officer asked for his help to take him to a snack-bar quite far away. Mr. X was pleased to help. During the trip, the American man commented that it was really more comfortable for such Westerners like him to sit on the back of the Lambretta than on that of other bikes made by the French or Germans in Saigon then. On reaching the destination, the American man offered to tip Mr. X a bit, and wished to have similar city trips next time with the same bike. Since then, Mr. X realized that his Lambretta could earn even more than he could at the office! The job started to spread to several other men. They founded the very first Lambretta Xe Om Team in Saigon, providing the service mostly for the American officers at the time. I highly recommend Grab Bike which are more transparent in terms of price and route, and they are getting more than popular in the city. If you want to taste Saigon on the back of a scooter, now you don’t have to worry about the language no more. Book your destination on the app, and the riders will take you there in the blink of an eye. 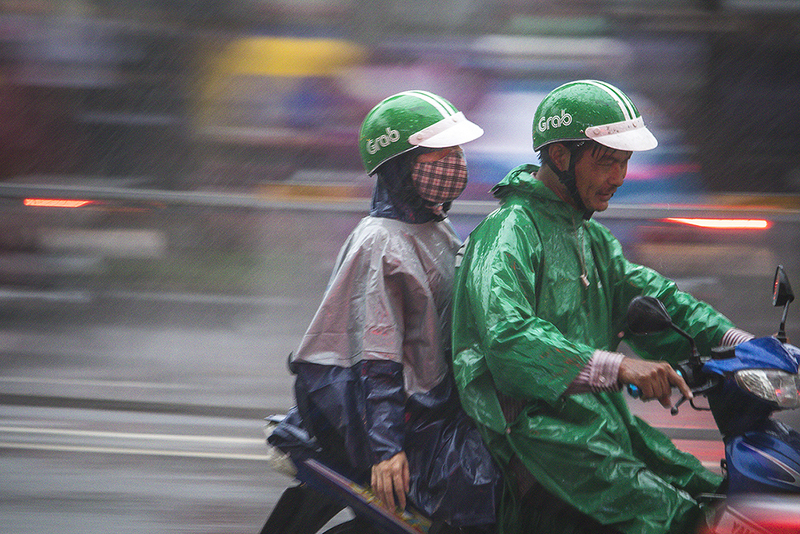 Your Grab rider would be easily recognized with his green coat and helmet and the white “Grab” logo. There are many professional services in town providing you with exciting tours to experience the local life. 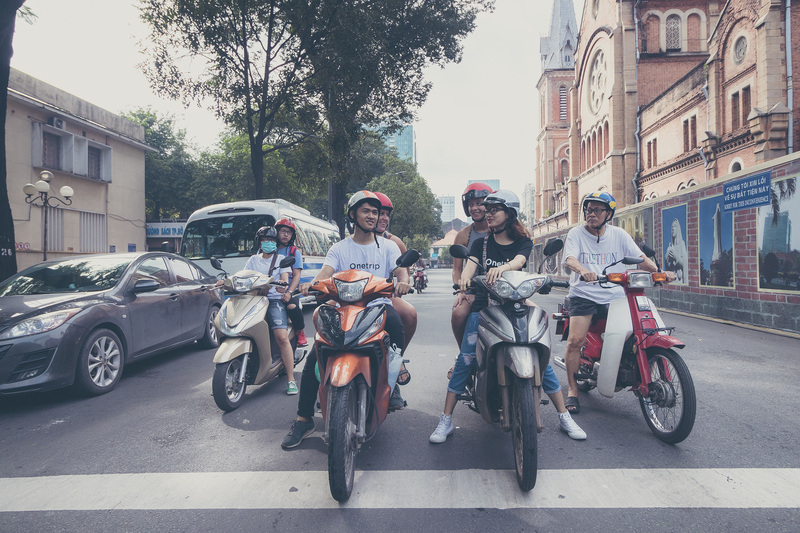 You would be picked up by a local, well-trained and really knowledgeable, with a tour guide license, who will take you around the city to the must-see spots as you ride pillion on his bike. Your experience will be further enriched by his/her sense of humor and knowledge. You could also book food tours to get full insight of the culinary culture of the city. Some highly recommended services include: Back Of The Bike, our Onetrip Evening food tour, or Saigon Food tour. College students in the city are super dynamic, hospitable and love practicing English. Therefore, there are donation-based city tours guided by students. You can customize your itinerary by letting the student know where you would like to go. A good example of a student city tour is the one offered by Onetrip, check it right here. You will love it! 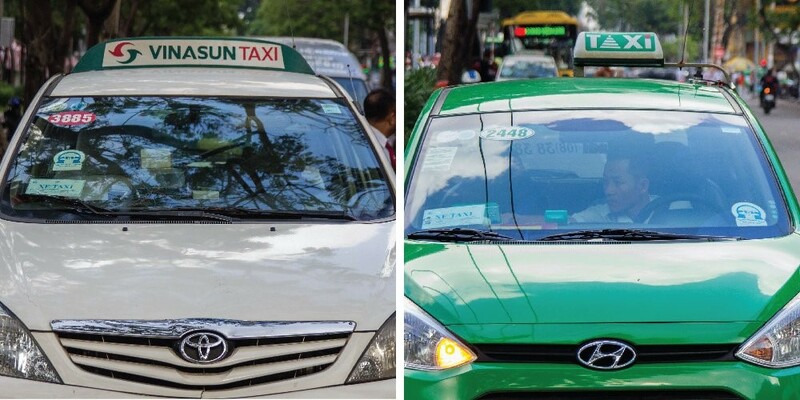 For Grab car, you have both options: Grab Taxi (which is a contracted cab between Grab Platform and a Taxi brand, so your cab would have a Taxi label on it), and Grab Car (which is a contract between Grab and freelance drivers). If you want to book a high-end car, choose Grab Car Plus. 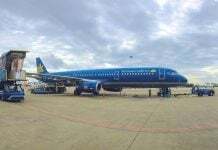 Navigating Ho Chi Minh City just got way easier. Check out busmap.vn and download the app on your phone. It provides you an English version of the route of each bus line in town, with bus stop details, and earliest and latest departures. It is common to rent a bike and make yourself trips around the city. 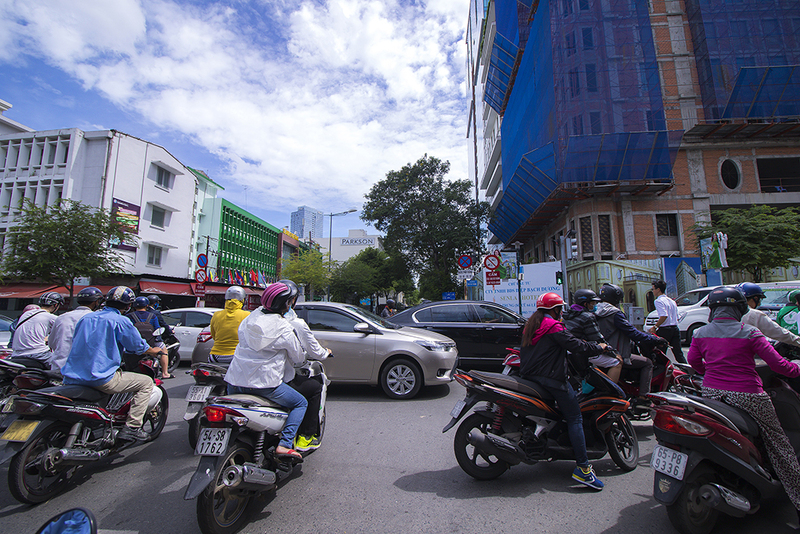 Make sure you are in control when riding in the crazy chaotic yet oddly controlled traffic of Saigon. Your accommodation host will surely know good bike rental shops nearby. Otherwise, you could look at our article, Saigon Bike, to see what you should pay. Best place to experience the world-famous Vietnamese coffee is at the heart of District 01. It is not by chance that there are hundreds of café around this area. Not to mention that drinking coffee is a daily routine of the Saigonese, so the center of District 1 attracts coffee lovers with a combination of nostalgia-inspiring coffee houses and luxury cafes. 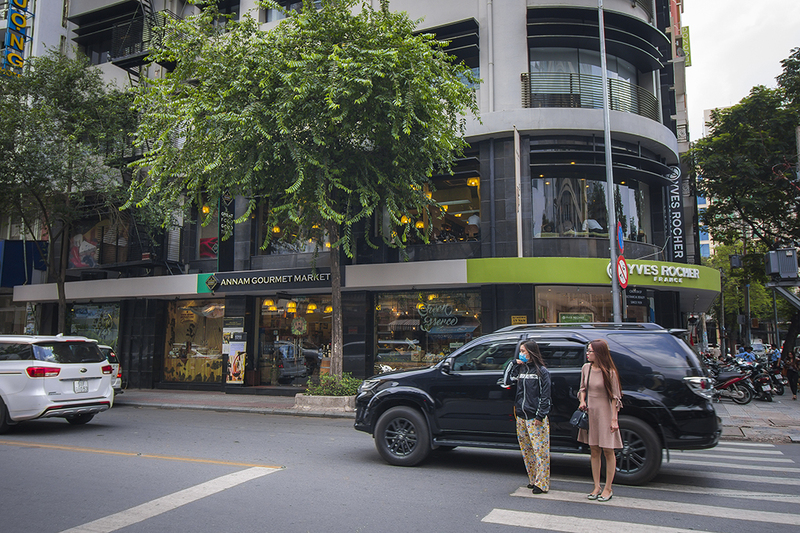 On Dong Khoi street – the most fancy street of Saigon, and has remained so for the whole century – there is a coffee shop called Saigon Coffee Roastery, of which the owner is a well-known Vietnamese barista trainer – Phap Vo. A cozy space and specialty coffee are what you could expect in the shop. And you know what, us Vietnamese are known for our hospitality, so if you are curious, you could ask the baristas questions on coffee, and they will explain to you as much as you want. Two other specialty coffee shops in this luxurious area are Workshop Coffee and Shin Coffee, respectively located on Ngo Duc Ke street and Nguyen Thiep street. While the former provides you with a large room (with a separate meeting room on requirement), and artistic atmosphere, the latter welcomes you with quite a warm and small space and fancy cups on which the coffee is served. Both places are relaxing and you can learn more about coffee in Vietnam. Though, I prefer Workshop Coffee due to the beautiful view it provides, from which I can settle into an amazing cup of coffee while contemplating the busy life of Saigon down below my feet. A few steps away from these two coffee houses, right on Nguyen Hue Boulevard (also known as the Pedestrian Street), there is another interesting building filled up with coffee shops and tea houses – the 42 Nguyen Hue Building. This is more commonly referred to as the Café Apartment. At this place, you are not provided with specialty coffees or teas, but you are provided with beautifully retro café spaces, artistic decorations (where the room itself is already an artwork!) and a unique view of the boulevard below allowing you to capture the events happening. Cafés constructed in the bones of old buildings is a trend of the city. Imagine walking the old mossy steps of the staircase, crossing several quiet wooden doors, finally reaching an open door. A cozy room, warm music, the personal style of the owner, and a good drink are just on the other side. However, soon, these coffee shops will be swept away due to business and safety legislations, so hurry there soon before these cafes at the Café Apartment are demolished. If you pay close attention, you will notice that people that visit Workshop Coffee are usually those working in art, or those who particularly love coffee. Cafés in Nguyen Hue building is attractive mostly to students or friends looking to snap some Instagram pictures. Popular Cafés like Phuc Long, The Coffee House, Highland, Trung Nguyen, Ciao Cafe are for the white- collar workers gathering for a morning talk. 24/24 cafés around Pasteur street – Han Thuyen corner are filled with familiar friends, freelancers running for deadlines, and college students seeking a place to finish their homework. Since the early 1990s, Bui Vien street has been known as the town of the backpacker. The area since then has seen travelers and expats from around the world, bringing into the small town a rich culinary culture. You could easily spot out an Indian restaurant with an Indian chef, and even Indian staff (such as Baba’s kitchen), or have pizza as if you were in Rome, Starbucks from the USA, and a plethora of local Vietnamese restaurants and stalls serving all kinds of dishes, from Pho, Banh Xeo (Vietnamese savory pancake), Banh Mi (baguette sandwich), Banh Cuon (steamed rice rolls), and Com Tam (broken rice plate), etc. Bars and pubs line the streets of this sleepless town, and more cafés are open 24 hours a day. Since the middle of 2017, this area prioritizes walkers rather than vehicles. If you wish to try egg coffee in town, look for Goc Ha Noi for a Vietnamese traditional egg coffee, or The Note Café for a Westernized egg latte! The backside of this area is seedy; people can easily buy drugs (surely illegally), and it is normal to find used needles on the road so be careful here. Life in this town is not economically equal, as deep inside these narrow and dark alleys hidden behind the glorious facade houses, there are people living their daily life in poverty. Temporarily leaving the busy streets of District 01, you can drive to a less chill area – Cong Hoa Roundabout. This roundabout is in the middle of 6 streets, one leading to District 01, one to District 3, two to District 05 and two to District 10. Five out of these streets are covered with forgiving shadow of aged trees, proving to any passengers that the streets have been around for decades. Around this area, you could easily spot out the school complex located on Nguyen Van Cu street, including: Le Hong Phong High School for the Gifted (built over a hundred years ago and is one of the national top high schools), Thuc Hanh Saigon High School, Ho Chi Minh City University Of Science, and Ho Chi Minh City Pedagogical University. Tran Phu street is a small one-way street among the 6 streets mentioned above. 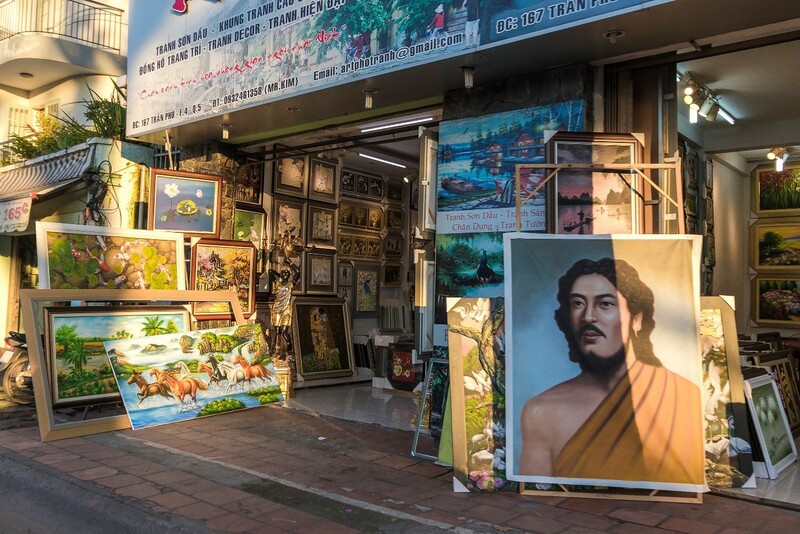 On this street, you will find along both sides an amazing density of art galleries. The paintings in this area are basically pop art. Prices are fairly affordable. Drink a rustic cup of Ca Phe Sua Da on a warm afternoon right on the sidewalk of the street, you will get a feel for the art in demand in this city. Follow the one-way traffic on Tran Phu street to Cong Hoa roundabout, turn left to Ly Thai To. Then turn right to the first alley, you will soon find yourself coming across a small road with full of musical instrument stores. 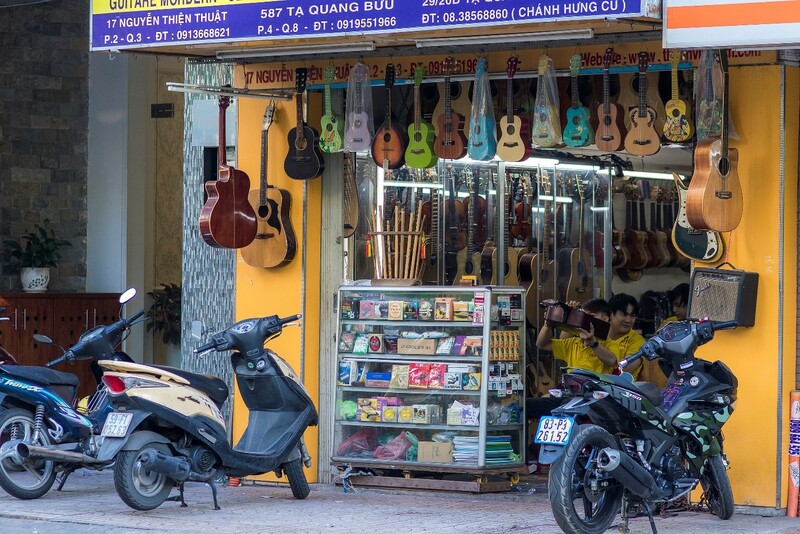 Guitar town, Violin town, or you may just call it by its name – Nguyen Thien Thuat street, and any music players in the city would agree with you that this is where you could find all sorts of string music instruments. For decades, District 04 has been referred to as the town of gangsters, for reasons that can be traced back to its many harbors along the sides. Streets like Ton That Thuyet, Ton Dan, and even the beautiful riverside today was so famous for people getting ready to fight. Don’t worry, it’s no longer the same. Life in District 04 is transforming to one of the most attractive places to accommodate yourself in the city. Just a bridge away from the commercial area of District 01, with high-end apartment buildings emerging (say, Icon 56, The River Gate, etc. ), the district is calling you with not only those but also awesome food streets. Christina’s has awesome apartments located at the residential building of Icon 56, some with beautiful river views. A symbol of District 4 is the Nha Rong Harbor (known today as Ho Chi Minh Museum). President Ho Chi Minh started his journey abroad from here in 1911, embracing a huge ambition to release the Vietnamese from colonialism. Renamed to Ho Chi Minh Museum in 1995, Nha Rong Harbor keeps lots of antiquities that could tell the story of Uncle Ho and his legendary life. With a local pal, make a brief trip to Ben Do Market (officially known as Long Kieng Market) before the afternoon. I ended up here once by accident, after seven years of living in Saigon. 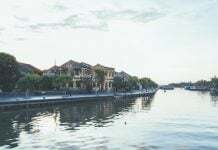 Located on the harbor of Kenh Te canal, the market spans roughly 500m along the old, sunny Ton That Thuyet street, starting from the corner of Nguyen Khoai street to that close to Kenh Te bridge. At first sight, there is nothing really special about the place. You could only see tons of fresh fruit being sold. However, I got really excited when I noticed a small boat loading bunches of dragon fruit, hiding itself behind a floating house that was half falling apart. Kenh Te canal usually attracts boats bringing tons of fresh fruits from other districts into the city. 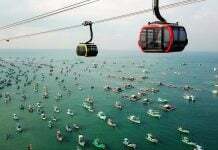 They anchor themselves in this area of District 04, or the harbor under Tan Thuan Bridge in District 07. What you find here is more than just fruit – a way of life of the Saigonese that has been established for decades, that has not yet faded away. Since 1778, the Chinese Vietnamese have been relocating to the West of Saigon, building up a big community. In 1930, this region was merged into Saigon, forming the region of Saigon – Cho Lon. Today, Cho Lon refers to the Western part of District 05, District 10-11, and District 06. You can find many wholesale markets selling trinkets and clothing for attractive prices. Many commodities in markets around Saigon are distributed from these wholesale markets. Most people there speak Cantonese, and Vietnamese, however you can still find a few familiar with a few words of English. Some of the food found in Chinatown is to die for, and you can find an awesome list of dishes to try in this blog. Don’t miss out. Take your time to ride out here. Once you are in the town, visit Thien Hau Temple and Quan Am Pagoda. Within the scale of this article, I am not mentioning in details these two sacred places. However, these two most well-known temples in town surely will reveal to you more about the religious life of the Chinese Vietnamese community. On your way out, do not forget to drop by the Museum Of Traditional Vietnamese Medicine. Housed in a unique traditional building at 41 Hoang Du Khuong, District 10, the museum features a collection of thousands of traditional remedies, some dating back to the Stone Age. Besides, a large collection of books and documents is also in place, providing us a more in-depth look at the world of traditional Vietnamese medicine, which was significantly impacted by Chinese philosophy. Streets in this area recall a nostalgic emotion but that does not mean the area is undeveloped. In contrast, Ba Chieu area has been emerging into a modernized and commercial town. 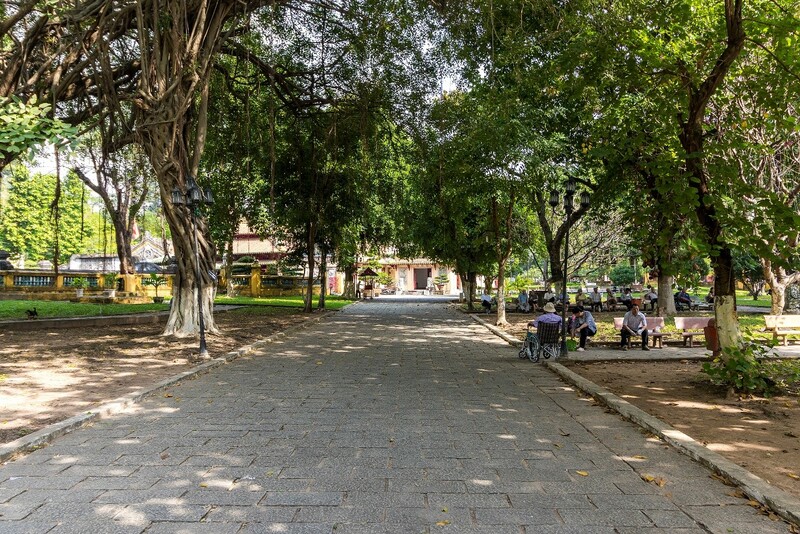 However, clues of the old Saigon – are still around, you can still come across a house with parts of its walls sleeping behind the moss, a huge aged tree gently stretching its shadows over several-floored houses, a small shrine, or a quiet temple. There, people live kindly and humbly. 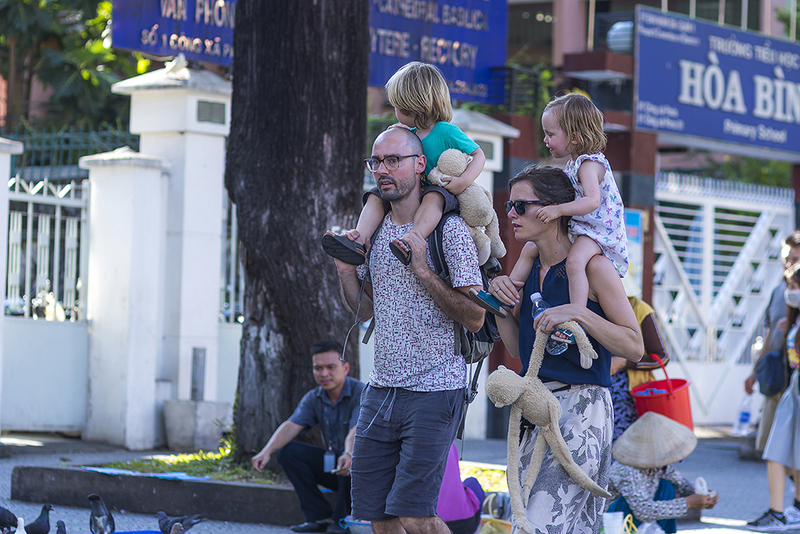 Families living in Saigon since the very first years of the 20th century are still recalling the area as one of the most memorable parts of Saigon – Gia Dinh. There, the Lang Ong Temple, a tomb of a Vietnamese general named Le Van Duyet (1763 – 1832), stands solemnly as if recalling a past of integrity and loyalty. 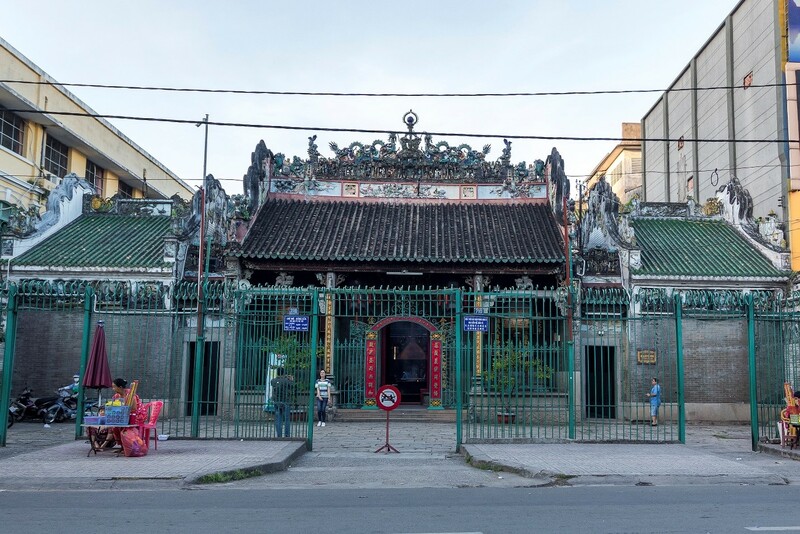 In 1918, at this temple, the excellent Vietnamese activist Nguyen An Ninh, before pursuing his higher education in France, made the vow to overcome any temptations abroad and get back to release his hometown from colonialism. The vow came true, and Nguyen An Ninh became one of the most well-known revolutionary activists of the time. My uncle’s family moved into this area in 2011, settling down in Bach Dang street – now it is full of high houses, furniture stores in all sizes exposed under direct sunlight, and old trees being replaced by new ones. What is most interesting about Ba Chieu today, to me as a Saigonese, is its market with bunches of fresh fruit, its School of Fine Art which has been standing there for a century, Lang Ong Temple solemnly observing the life of new generations, and the inexplicable feeling I get when I walk those streets with its aged trees still preserved, saving the beautifully fresh moments of people’s daily life into my camera, and wondering what will take place in the next few years. 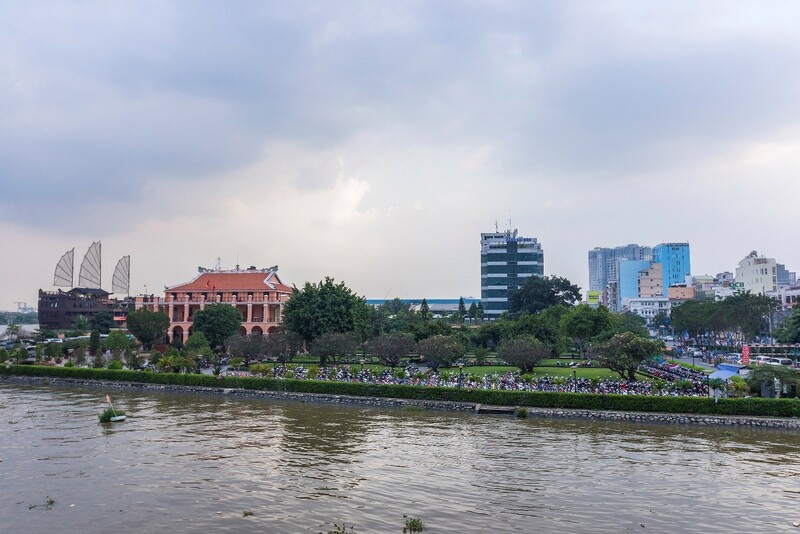 If you wish to know more of the city, head to District 07 – Phu My Hung town (mostly populated by the Korean expats), or District 02 – Thao Dien/Saigon Pearl area (preferred by Western expats). The Saigonese do not call these ‘Saigon’. They are parts of the new Ho Chi Minh City with all the modern infrastructures being slowly built, removing any sign of old life. They are surely worth a visit, especially if you are looking for a business class experience. However, let’s wrap up here with the old and the new Saigon. I hope with this article, you have created for yourself a map of places to drive through and spend some time in. Be safe and be mindful of the road rules!